Day one, we start with a Tonal drawing in charcoal of a couple of objects under the spotlight to emphasise shadows and lights, lost edges and atmosphere. Next is the preparation of the canvas and a drawing of the still life that we are going to paint. The composition being an important part of the painting. Onto the now prepared canvas, we will outline the composition and then put in the shadows and the darks (without using any white) and some of the bold pure colour. As we go along, we correct the drawing, adding more detail and the mid tones, and filling in the background. Towards the end we put in the light colours and highlights. I will teach you perspective, drawing of the ellipse, negative spaces and colour mixing, and at the end of the workshop you will have completed an oil painting! 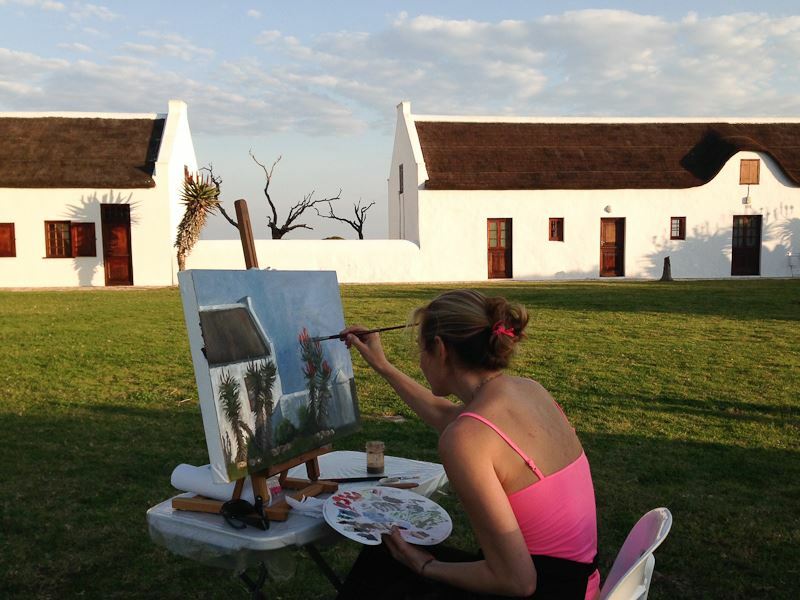 Contact us with a group of friends who will enjoy being in a beautiful nature reserve while creating a masterpiece!